Illuminate what’s behind captivating experiences. The best customer experiences often feel like magic. They surprise and delight. They evoke wonder. In a word, they captivate. 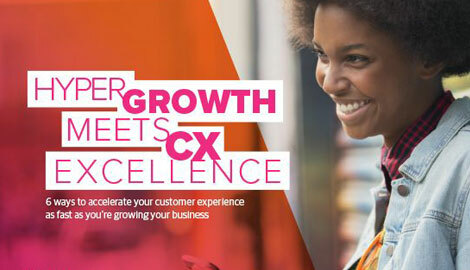 An essential ingredient to captivating customer experiences is the technology that makes them possible. But all too often this very technology becomes cause for customer frustration. It gets in the way, becomes too difficult to navigate, or worse yet, breaks. At TTEC, we know that the best technology isn’t just reliable and easy to use: it’s invisible. Our Humanify™ Customer Engagement as a Service offering is engineered to bring humanity to the customer experience without standing in the way of it. 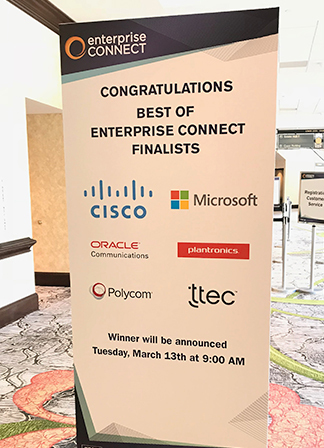 Best of Enterprise Connect Finalist! We are proud to be one of six finalists out of almost 40 entries for Best of Enterprise Connect 2018. Our Humanify™ Digital Worker Factory was the only AI/Bot solution selected as a finalist, and the recognition underscores our identity as an innovator within the enterprise communications and collaboration industry. Find out more about our Digital Worker Factory solution below. Learn the secrets to making your own magic. Digital transformation is not just about adding channels, it’s about delivering seamless interactions within and between channels. We combine strategy, technology, and analytics to deliver a true omnichannel experience. A cloud-based customer and employee data platform that provides a 360° view of customer needs, behaviors, and preferences. Learn how insight-driven consulting, technology, and operations combine to connect brands and their customers within and across voice, digital, and automated channels. Most of today’s bots are highly scripted and channel-specific. The result: a frustrating experience for customers. We help brands move from bots to Intelligent Virtual Assistants (IVAs) that create a personalized experience with human-like empathy. IVAs learn from past interactions and connect both voice and text channels. And if live support is needed, the IVA automatically and seamlessly transfers the customer.